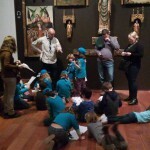 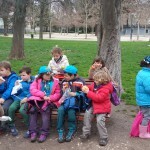 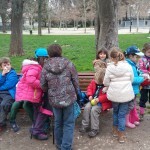 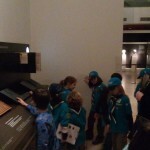 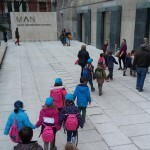 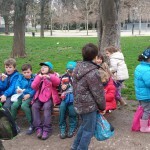 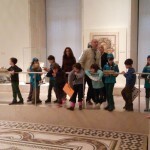 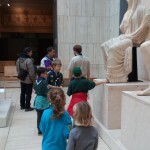 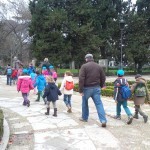 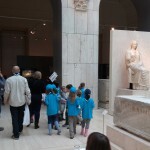 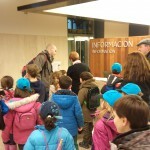 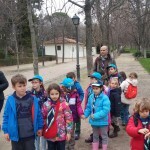 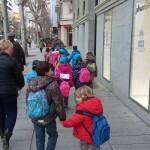 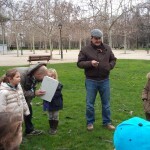 February meeting gathered our troop at Retiro Park where after some activities, they headed to the MAN (National Archeological Museum) where they took part in a Tresure Hunt and learnt some interesting things about Spanish history. 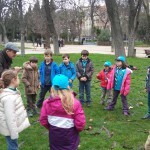 The beavers stand in a circle and count in their head to sixty (a minute). 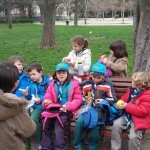 When they think 60 seconds has passed, the Beavers stick up their hand. 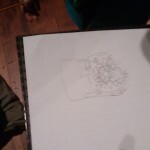 The winner is whoever gets closest to a minute. 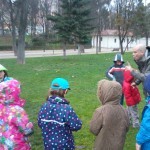 Next, Chris gave them some lessons to complete the Safety Activity Badge: Water Safety Code, Green Cross Code and Stranger Stranger. 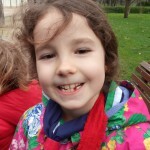 Then, snack time with a fallen tooth included. 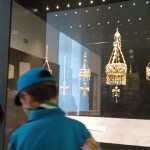 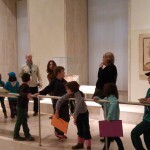 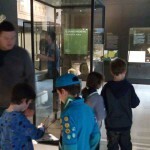 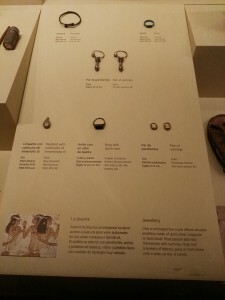 At the Museum, a treasure hunt begins, looking for artifacts from the Roman Empire to Christian Kingdoms and the Andalus. 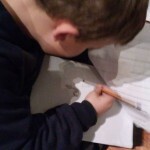 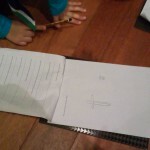 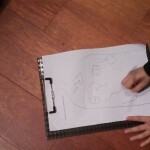 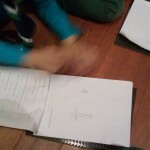 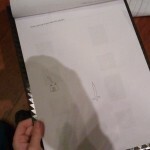 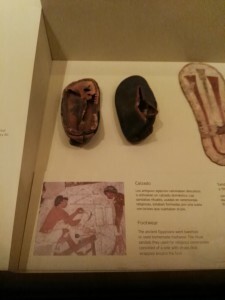 Finally, after finding all the artifacts, they have to draw their favourite one. 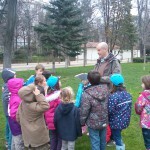 Back at the Retiro Park, Chris explained how the Beavers will have to work for the skills challenge badge at home. 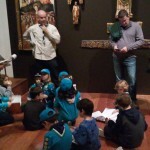 And everybody agreed Alexandra deserved to be named “Beaver of the Month”. 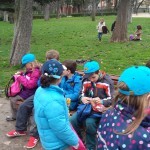 They had a great meeting despite the weather. 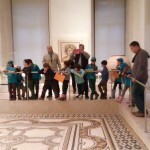 They all introduced themselves and defined something unique about each one of them! 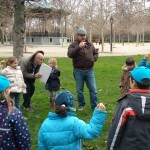 Blanca did an interesting talk on Bird Ringing – a subject she knows a lot about and participates in herself. 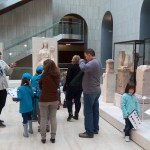 They visited the MAN but only really had time to see the Egyptian and Greek sections on the top floor. 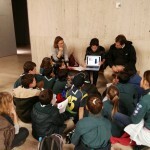 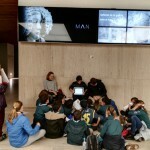 There, both leaders and scouts enjoyed Marisa´s presentation on climate change in the foyer of the MAN! 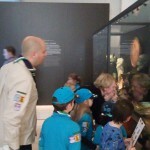 The children were completely mesmerised!